LOS ANGELES — There was a time, not too long ago, when the Mets could afford patience. Real expectations were a foreign concept. When it came to waiting for young players to produce, they had plenty of leeway. With starting catcher Travis d’Arnaud once again on the shelf, perhaps for a few more weeks, the Mets have turned to former first-round pick Kevin Plawecki to fill the void. 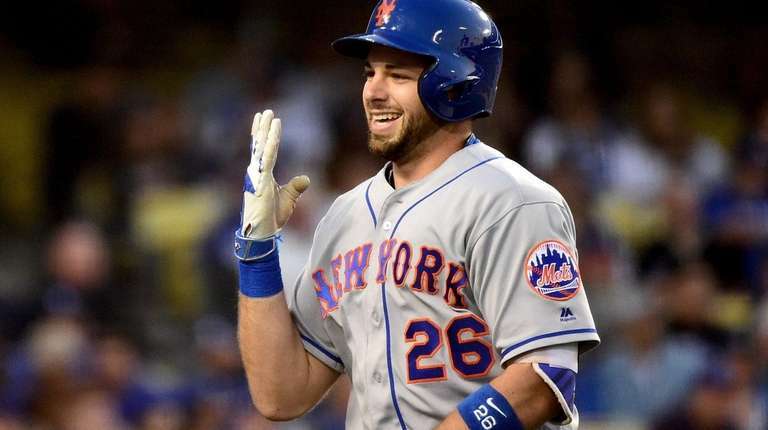 After a slow start, Plawecki has shown signs of settling into a groove, especially with more consistent playing time. He entered Tuesday’s game against the Dodgers hitting .357 (5-for-14) in his past four games. In that span, he has three doubles and his first homer of the season. That production has staved off what could prove to be a difficult decision for the Mets. For all the talk about their depth at catcher, what if it proves that it isn’t enough? The trade deadline is still weeks away, leaving plenty of time for needs to shift. But when rival scouts look at the Mets, the one potential vulnerability they see is behind the plate. D’Arnaud’s health has been a question mark, and Plawecki has yet to flash his bat over long stretches. In his first 90 big-league games — a chunk of which came last season with d’Arnaud on the disabled list — the 25-year-old Plawecki is hitting .221 with four homers. Meanwhile, one of the most prominent names expected to be on the trading block is the Brewers’ all-star catcher Jonathon Lucroy. Through 29 games, the veteran has only increased his stock, posting a .324/.389/.500 slash line. For now, the Mets believe that they have everything they need in-house in d’Arnaud and Plawecki. 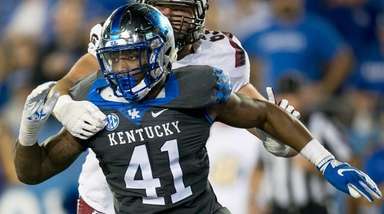 “They’re both going to be above-average offensive players,” assistant general manager John Ricco said. But circumstance could force the Mets to explore, particularly if Plawecki’s recent surge proves to be a mirage and d’Arnaud fails to shed his reputation for physical fragility. 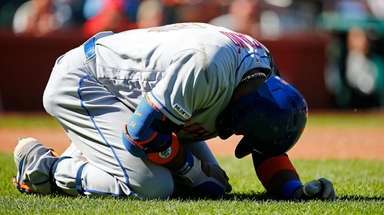 Ricco challenged the idea that d’Arnaud is “injury prone,” despite his lengthy injury history relatively early in his career. Instead, Ricco noted an example from football, noting how former Giants quarterback Phil Simms endured similar early-career setbacks. When d’Arnaud has been on the field, he has been what Ricco called an “upper echelon” offensive producer at catcher. Meanwhile, Plawecki has experienced the opposite phenomenon, showing an ability to stay on the field though his offense has yet to come around.